Could your brand be threatened by pirating? If a relatively inexpensive product and widely-regarded consumer packaged goods brand can be threatened by counterfeiting, what sort of long-term impact might bogus products have on marketing? While misleading claims and fake products may have given rise to modern discipline of branding over the past century, has our industry helped solve the problem or created easy targets for fraud and copyright infringement to run rampant? Of course knock-offs have are understood to be an ongoing international threat within many luxury and high-priced categories—media products, cigarettes, and even pharmaceuticals, as well as apparel and accessories. Hey buddy, do you wanna buy a watch? But if a brand is a promise, what happens when that promise is broken by a third party? Is imitation the most sincere form of flattery, or just the latest (and one of the oldest) threat to marketing? 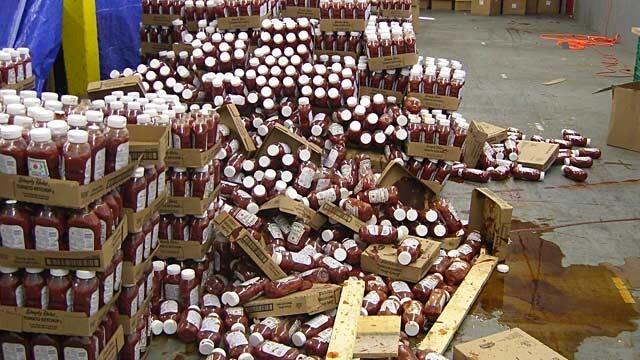 If Heinz Ketchup is at risk, what steps are you taking to keep pirates and scoundrels from blowing up your brand? Do we need more relation? More technology? More differentiation? * The comments and opinions expressed in this discussion are of the individual author and/or members of this group and may not reflect the opinions of the rest of the world. Although many individuals may believe that Heinz Ketchup is in fact the world’s greatest condiment, others may prefer Hunt’s Catsup or even mustard. Hot sauce is also very popular. Regardless, Heinz Ketchup is a staple in my own kitchen and I have been known to exaggerate claims (but never in a misleading or criminal way).